The first thing you may notice on this week’s chart is Axiom Envy claimed the #2 and #6 spots. The Gateway Wizard was a newcomer to the Top 20 at #16. The Force ESP climbed the highest in the Top 20 from #19 to #6. Paul McBeth’s Prototype Putter held the #1 spot for the second week in a row, and his Signature ESP Buzzz disc stayed in the top 5. 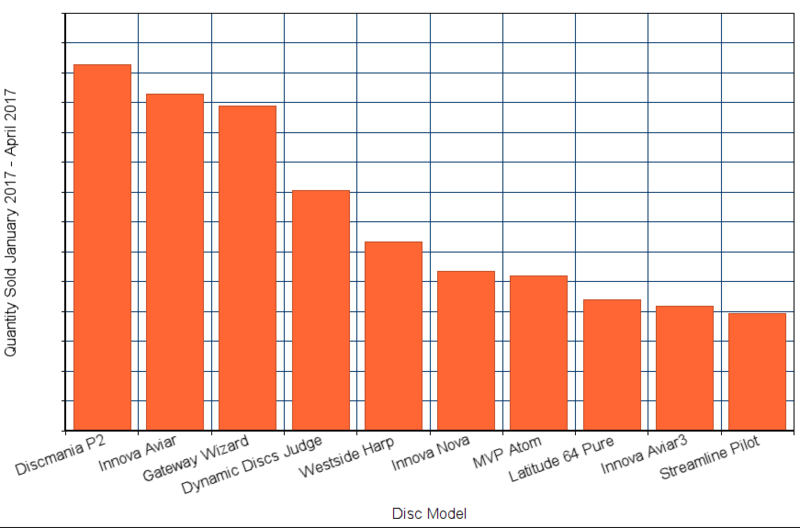 Innova’s Star Destroyer remained in the top 3, continuing its hold as one of the more popular discs on the market. Innova dominated the Top 20 again with 10 discs in our Top 20. Discmania and Discraft followed next with three discs each. Gateway and Dynamic entered our Top 20 with one disc apiece. WINNER – Nobody guessed the Classic Blend Burst JUDGE as the #12 disc this week. Don’t be discouraged, keep your guesses coming for this weeks gift card prediction. GIFT CARD PREDICTION FOR NEXT WEEK: Leave your comment below this blog to predict the #8 spot for next week’s chart. Putter Wars 2017 – Which Disc Golf Putter Will Win? Putters are very personal discs. Some players can go through a lot of different putters before settling on one, primary putter for running the chains. Other players like to keep a variety of putters on hand for different settings and conditions. Some putters are better for approaches or drives. We all have our favorites, and we could argue for hours about which one is “best,” but honestly, the “best” putter is the one that feels right to each individual player. For example, I currently have a stack of TUI putters by RPM Discs as my primary practice putter. The owner of Infinite Discs has been putting faithfully, and very accurately, with MONEY putters from ABC Discs. Another Infinite Discs employee putts with the Latitude 64 MACANA. These putters all have something in common– none of them are best-selling putters. However, they feel right to each individual player. So for the sake of argument, let’s take a look at the one thing that can help determine which putters are the “top” putters in terms of the numbers of players using them. That can be determined by the number of players purchasing those discs, and those stats are readily at hand. We are now approaching the month of May 2017, and we are starting to see putter sales rise as players, both veteran and novice, stock up on putters for the season. Which putters are the hottest movers? Undoubtedly, we’ll see some well known, long established putters rising to the top, but there are also some new putters that are making a splash in 2017. The Judge by Dynamic Discs was the best-selling putter at Infinite Discs in 2016, but has fallen behind in the first four months of 2017, dropping to 4th place while the three top-sellers are running a close race. 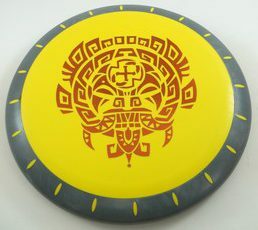 The Discmania P2 “Psycho” has jumped to the top, with the base D-Line plastic exploding in sales. Both P-Line and S-Line are also pushing the sales through the roof. 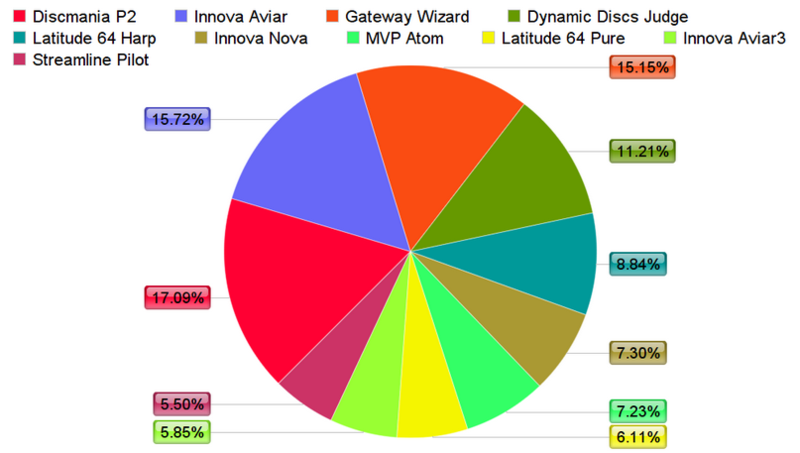 In second place, we see the juggernaut Aviar by Innova. With many different plastic types, it consistently adds up to being one of the top-selling putters. The McPro Aviar is the plastic blend that is pushing the sales much higher, accounting for more than 1/3 of total Aviar sales so far in 2017. Third place is held by another long-time best-seller, the Wizard by Gateway. With probably more different plastic blends than any other putter out there, the Wizard is the top-selling disc for the Gateway brand. The most recent blends are the 4S (the most flexible, even more so than Super Stupid Soft) and Evolution Diamond, which is a premium, durable blend. Wizard sales at Infinite Discs have been given a big boost in 2017 with the addition of Wizard 6-Pack bundles which allow customers to grab a bunch of Wizards at once. Fifth and Sixth place are both owned by discs which are actually more notorious as approach discs, rather than discs for putting. 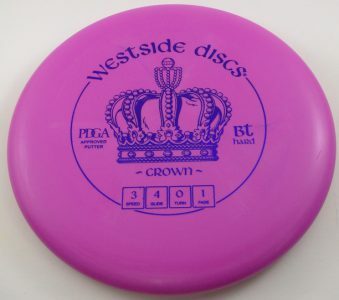 The Westside Harp is very popular, primarily because of the high profile use of the disc by pro disc-golfer, Ricky Wysocki. Sales of the Harp would be higher, possibly giving the Judge a run for the money if the most popular BT Hard plastic had been in stock. But the BT Hard blend has been out of stock from the manufacturer for most of early 2017. 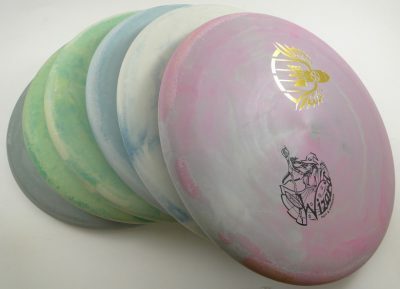 The Nova by Innova is likewise popular as an approach disc, with its reputation boosted by pro disc-golfer, Paul McBeth. The sales have been helped recently by a love for the artistic frame that the over-mold design of the Nova provides. With attractive stamps and great dual color combinations, customers race to buy the most appealing discs whenever a new supply arrives. The Atom by MVP is making a surprising run into the top 10 best-selling putters of 2017, lifted by the new release of the Atom in Proton plastic. Many fans of the Atom had clamored for a more durable Proton plastic version of the disc for driving, and it was delivered. The Atom was also released in the new Electron Firm plastic blend right at the end of April. The Pure by Latitude 64 has been a consistently selling putter at Infinite Discs for quite a while, released in glow-in-the-dark Moonshine Plastic in April 2017. The 9th and 10th place putters are both 2017 newcomers. The Aviar3 by Innova flew off the shelves as a flat-topped, faster, more overstable version of the famous Aviar. Being presented as a new variation of the Aviar, it is no wonder that players want to give it a try. The momentum will likely carry on as the Aviar3 is released in more plastic blends. The Pilot by Streamline, a brand new spin-off company from MVP in 2017, made a very strong introductory showing, spiking to 10th place so far. 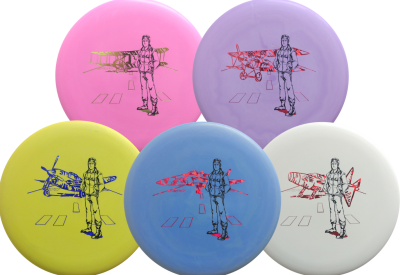 A lot of those sales at Infinite Discs were due to a special edition Pilot in Electron Soft plastic with five stamp variations for collectors. There were also 5-Pilot Packs and a massive 21-Pilots Pack which boosted initial sales. The long-term sales of the Pilot are yet to be seen, but it has started off the year strong. Aside from the Aviar3 and Pilot launching with impressive sales in 2017, there are some other putters that are making a splash, and as the year pans out, they have a shot at reaching the top 10. 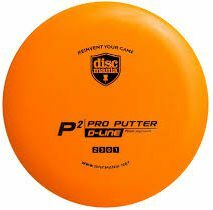 The Slammer by Dynamic Discs is another disc which could fall more into the category of being an approach disc, though it works wonderfully as an overstable headwind putter. With limited editions helping to build anticipation, the launch of the Slammer was certainly strong, and we will see if that momentum continues. The Caltrop by Latitude 64 is an interesting putter, being the first by Latitude 64 with a thumb-track. Sales were initially strong, as it was the first major putter release of 2017, though the momentum has slowed under the shadow of other new putters like the Aviar3, Pilot, and Slammer. The Crown by Westside is another new putter that came out in the spring of 2017, and the initial reviews have been very positive. With a feel and style similar to two of the top 4 putters in this article, the Wizard and the Judge, it has the potential to at least become the best-selling putter released by Westside so far. Other putters are on the way in 2017, and we will soon see what kind of a splash they make in the disc golf market. Will they dethrone other newcomers like the Crown, the Slammer, or the Pilot? Or will they fade into a growing arsenal of discs that are pouring into the market each year, becoming yet another lesser-known favorite for a few players. Stay tuned, and we’ll find out!